Smile for a Lifetime Foundation is a charitable non-profit organization that provides orthodontic care to individuals who may not have the opportunity to acquire assistance. Launched in 2008, Smile for a Lifetime Foundation aims to reach individuals with financial challenges, special situations, and orthodontic needs. 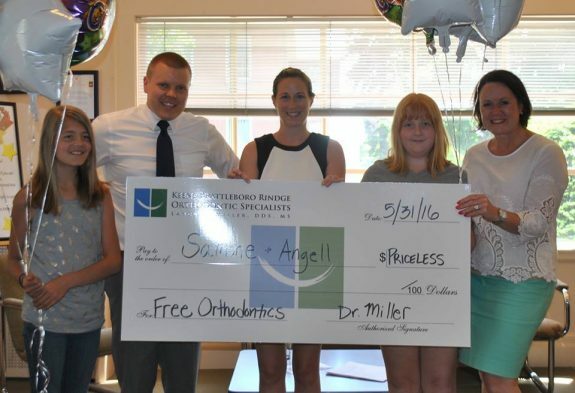 The Foundation sponsors the orthodontic care of hundreds of patients each year. Smile for a Lifetime Foundation has participating orthodontists throughout the US. Each chapter has its own local Board of Directors who choose patients to be treated by the Foundation. It is our mission to create self-confidence, inspire hope, and change the lives of children in our community in a dramatic way. The gift of a smile can do all this for a deserving, underserved individual who, in turn, can use this gift to better themselves and our community. Applicant questionnaire must be handwritten and answered by the applicant. Applicant must be a resident of Cheshire or Windham County. Applicant must have a significant aesthetic need for braces. Two Letters of Recommendation are mandatory. Please do not submit more than two letters and limit each reference letter to one page each. Please type or print clearly with black ink (no pencil). Letters of recommendations may be written by teachers/coaches, counselors, dentists or spiritual leader etc. A clear 5×7 head shot with full smile & teeth showing must be included with application. The application, letters of reference and pictures will not be returned and will become property of Smile for a Lifetime Foundation. Each applicant will be notified of approval or denial after the end of each selection process. In order for us to best answer your questions please email us at S4L@rindgeortho.com. Please do not call the office with questions, as the Foundation is managed separately.